San Jose, CA – Bentek Corporation, a leading manufacturer of products for the commercial and utility PV solar market announced today that it has received UL 1699B certification for its new, ground-mount, PV Arc Fault Circuit Interruption (AFCI) string combiner box, AF2. With orders in excess of 50MW shipping in early November, the new combiner is expected to be an effective solution for commercial rooftop PV systems and also ground-mount PV arrays requiring arc fault circuit interruption under the updated 2014 Edition of the National Electrical Code’s (NEC) Article 690.11. In addition to the ruggedized PV-powered model of the AF2, compatibility with rooftop Rapid Shutdown requirements is supported through a product configuration using an undervoltage release. “You just provide 120 or 240 volts ac to the unit, and if the power goes away, the PV disconnects will trip” explained Lou Marzano, VP of Engineering. “Using the ac power source as the rapid shutdown control signal is a straightforward way to eliminate costly, impractical 24V control wiring. 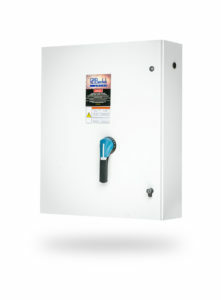 For installations with low voltage ride-through requirements, or where the risk of unreliable grid power is an issue, we recommend backing up the supply power of the RS model with an uninterruptible power supply, to prevent nuisance opening of the PV disconnects,” he continued. The AF2 provides both an elegant and cost-effective solution when arc fault circuit interruption and rapid shutdown capability are required. More information regarding new product releases and technical documentation please contact Bentek at 1-866-505-0303 or visit www.Bentek.com.